We knew this day would come. We saw the beginning of the end with Adam Sessler And Kevin Pereira leaving the network earlier this year. We of course recounted the beginnings of the network in our recent podcast episode. According to a report from Variety, parent company NBC Universal is going to rebrand the network early next year to appeal to the “modern male.” According to the report, G4 is “undergoing a rebranding.. that could involve a name change and take G4 in a direction reminiscent of GQ.” In other words, it wants to go the route of Spike TV, but be more sophisticated about it. Not sure about the sophisticated part, but the guy route looks more plausible since… well go watch it now (if you have it) and see for yourself. It’s been going in that route since it decided to show more Cops and Cheaters and less games. As we explained in the podcast, G4’s been in the middle of a massive identity crisis as of late with no good ending in sight. 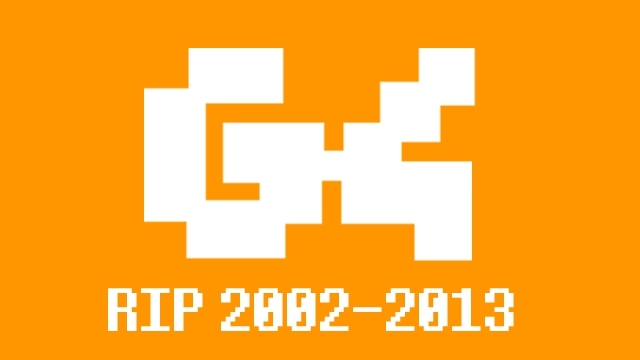 G4’s demise is rather reminiscent of the current struggles of print publications like GamePro and Nintendo Power since most gamers are getting their news and reviews online. While a videogame network like G4 would have a better time in getting more immediate news, it also had to compete with the gamers themselves since they’re most likely playing their games on the very TVs they watch G4 on. Couple this with much executive meddling on NBC Universal’s part when it bought the network, and this was just one big recipe for disaster. No word yet on what the fate of some of the hosts of G4’s own shows will be. They’ll probably be retained, but will stick out even more like a sore thumb once the rebranding is in effect. Some will remember G4 (and its compatriot Tech TV) as a time when the videogame medium was finally hitting the mainstream and becoming more legitimate. But with the network not being what it once was, some will see this as long time coming. So long G4. So long. Here’s some Youtube Channels to remember them by. This entry was posted in Gaming News and tagged attack of the show, Filter, G4, G4 Tech TV, Game Makers, icons, Judgement Day, NBC, NBC Universal, Ninja Warrior, Tech TV, The Feed, Unbeatable Banzuke, x-play on September 7, 2012 by Steven T..